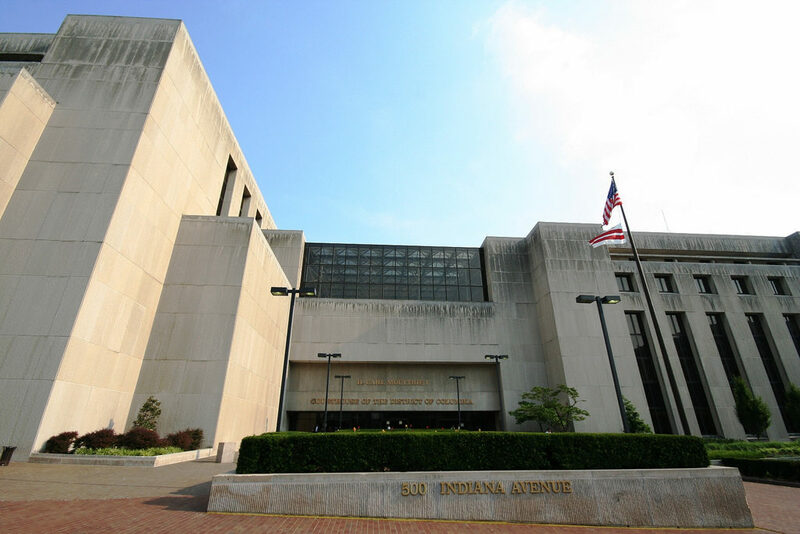 Have you ever been to the D.C. Superior Court? We’ll be getting out of the studio and heading to D.C.’s trial court for a Pop-Up event with Kojo, and we’d love to see you there. Kojo will chat with passersby, getting the street view on all the different reasons why people come to the court–trials, hearings, marriages, adoptions, jury duty and more. And he’ll ask some of the people working at D.C. Superior Court–judges, a longtime clerk, and a veteran reporter–what it’s like to work in a place where District residents from all over the city cross paths. Join us to discuss that or anything else on your mind. Are you a lawyer, a juror, a judge, a new spouse or parent? What brings you to the Superior Court? Come tell Kojo what you think! We’ll be filming your answers live next week. When: Friday, November 30, 11:30-12:30 p.m.
Where: In front of Moultrie Courthouse, 500 Indiana Ave NW.